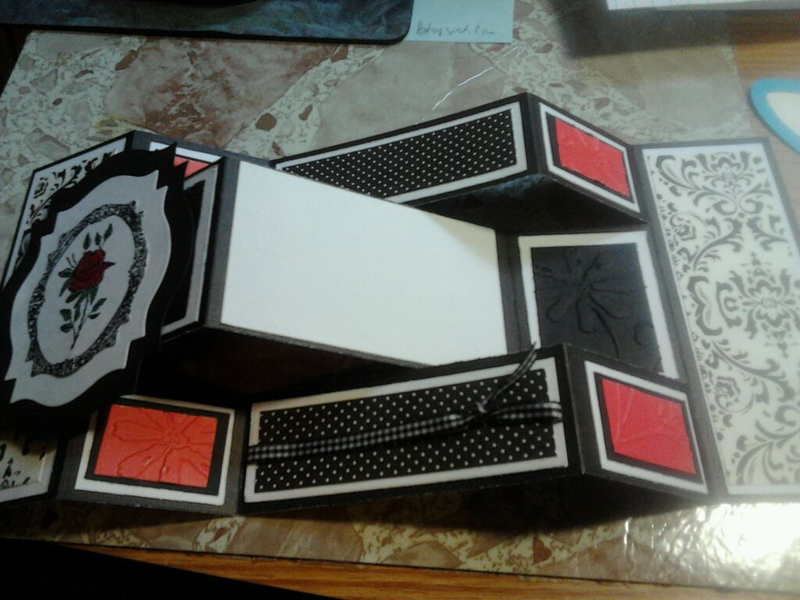 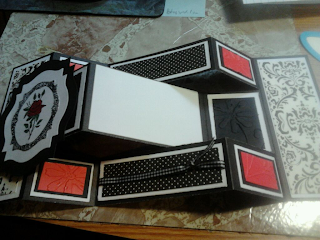 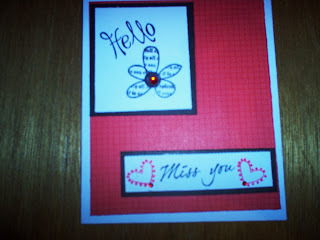 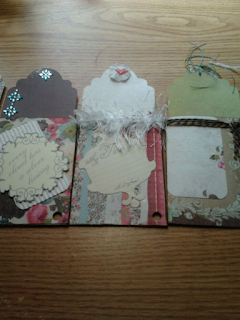 I started this Miss you card last night and finished it today along with the forever in love card. 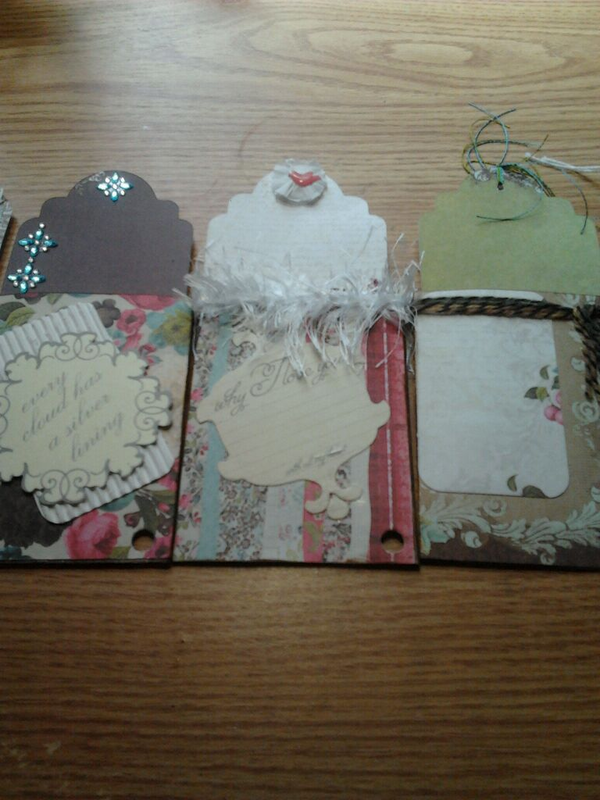 I guess when I get hooked on a color palette I keep doing it until I find another one to get hooked on. 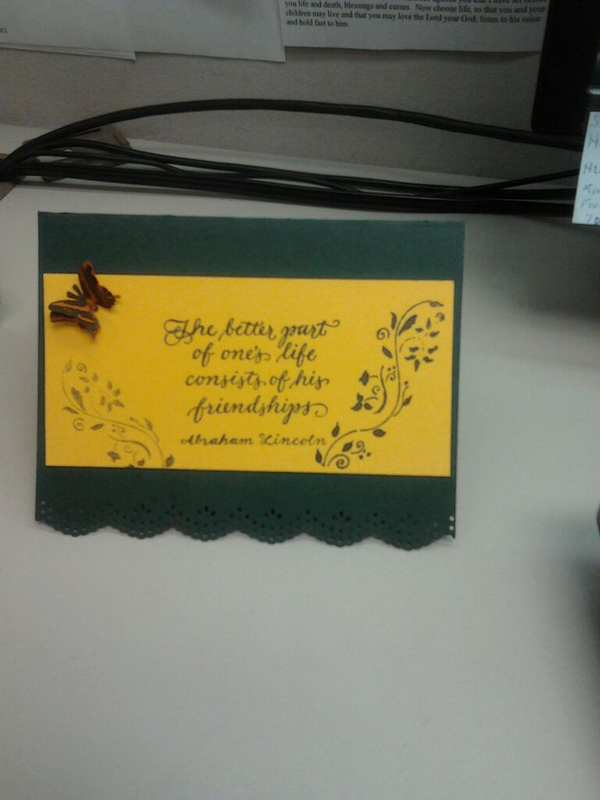 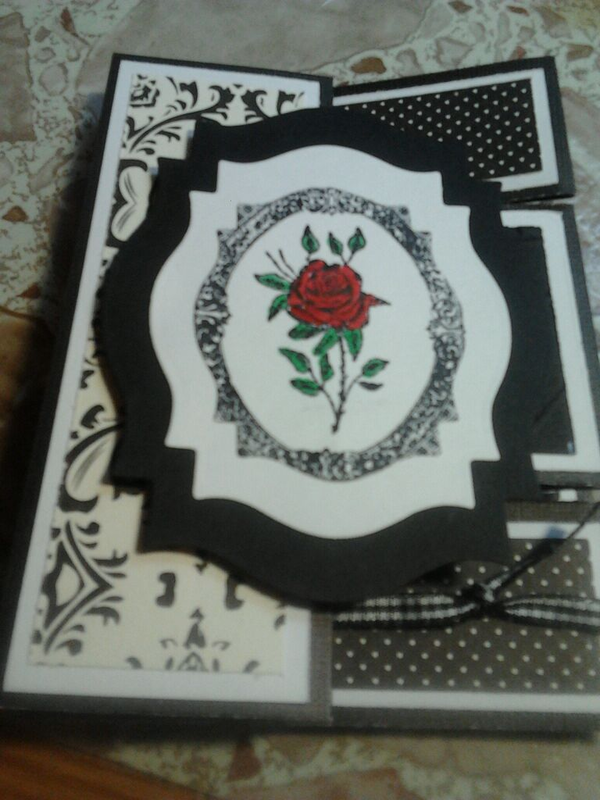 I used my CTMH AP Cricut cartridge to cut out the laced heart on the card at the top. 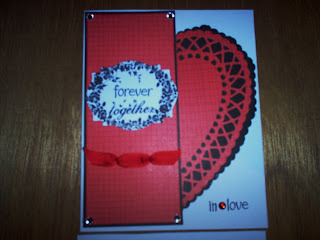 Used my "waves" shape scissors to cut the black heart around it. 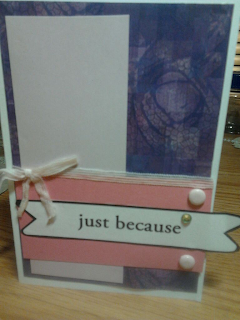 It is a little wonky as you can see. 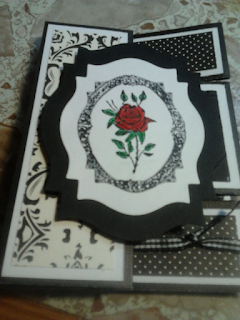 The bow I made following a technique I saw on Stamp TV with Gina K. The stamped images are from mixed stamps I happen to have collected over the past months but never used. I hope you like them as much as I liked making them. Never limit yourself. 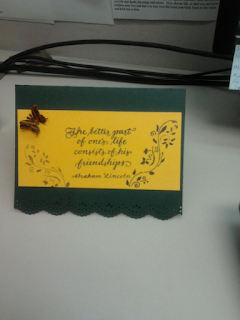 It makes life short! 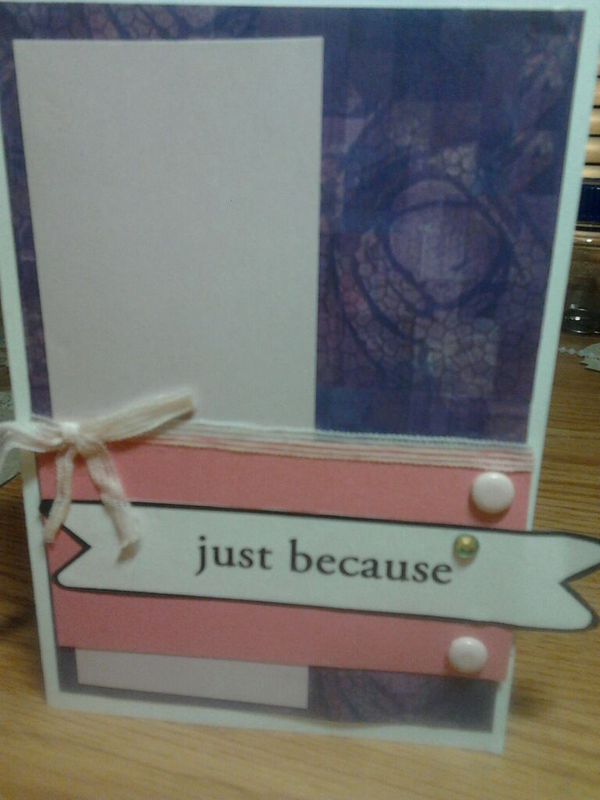 These are just 2 cards I made when I was trying to feel my way around. Hope you like them. 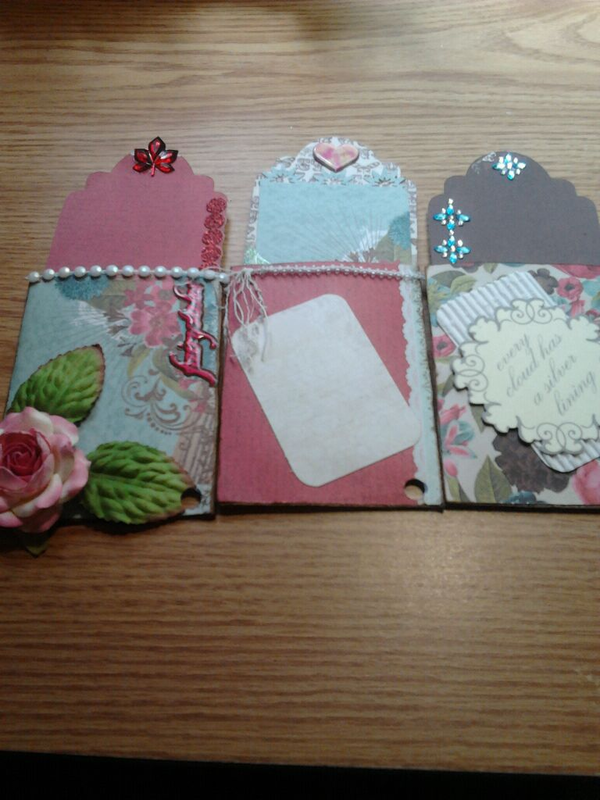 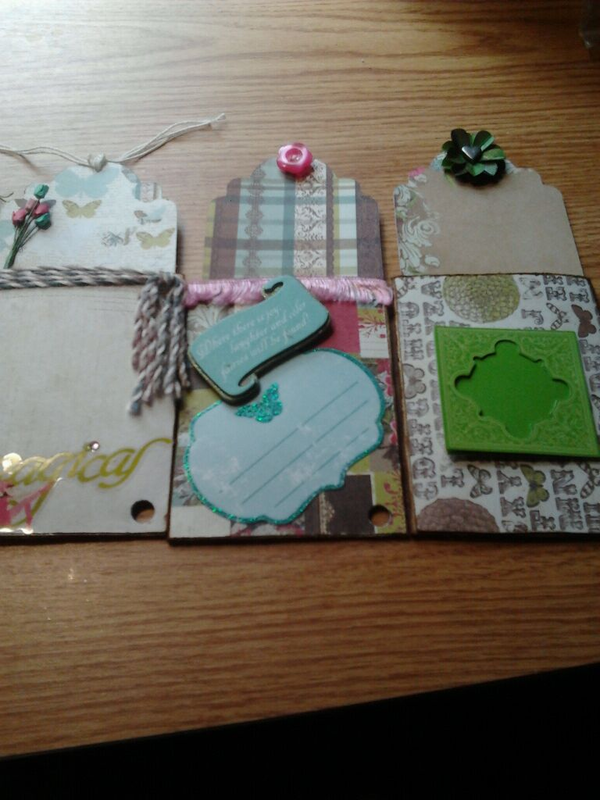 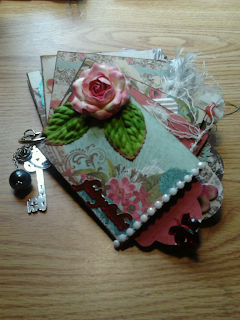 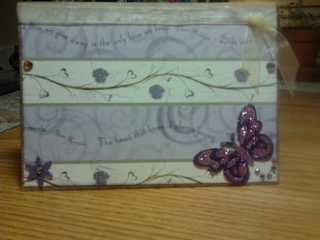 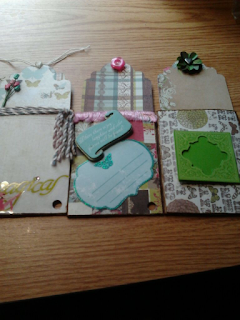 I saw this pocket card in "Card Maker" magazine and decided to try making one for myself. 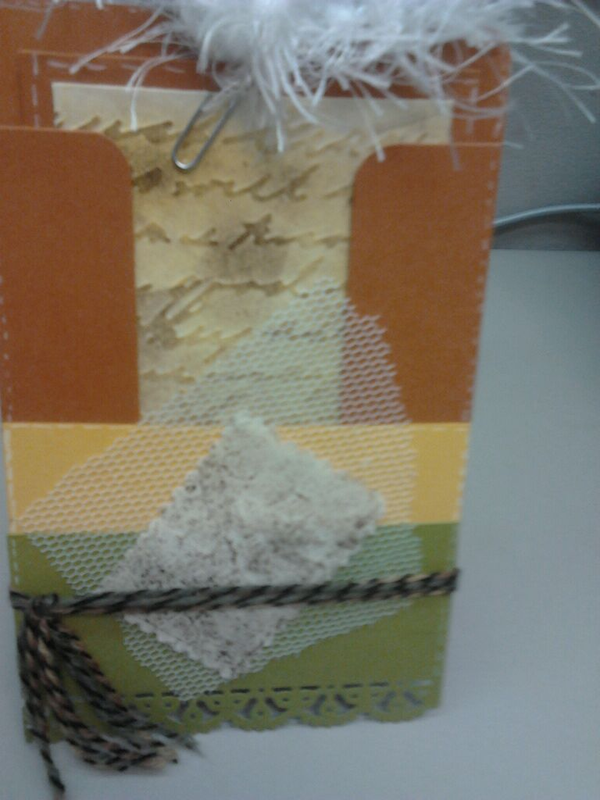 I love fall colors. 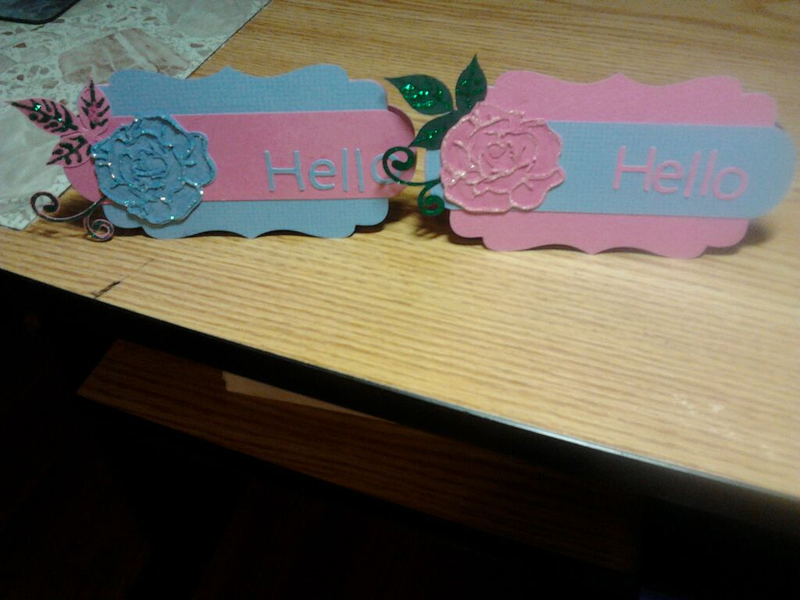 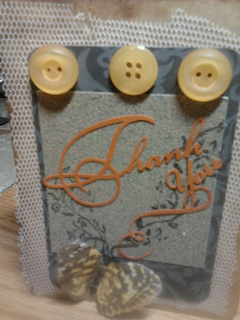 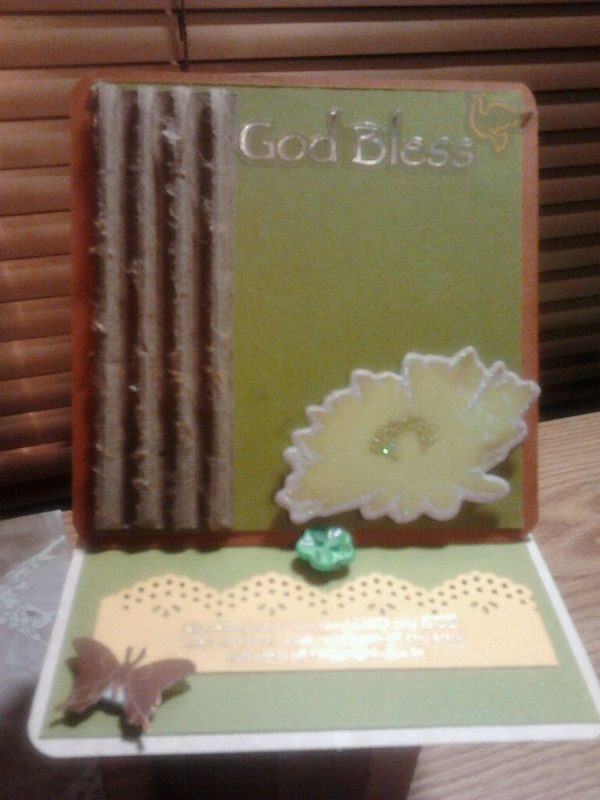 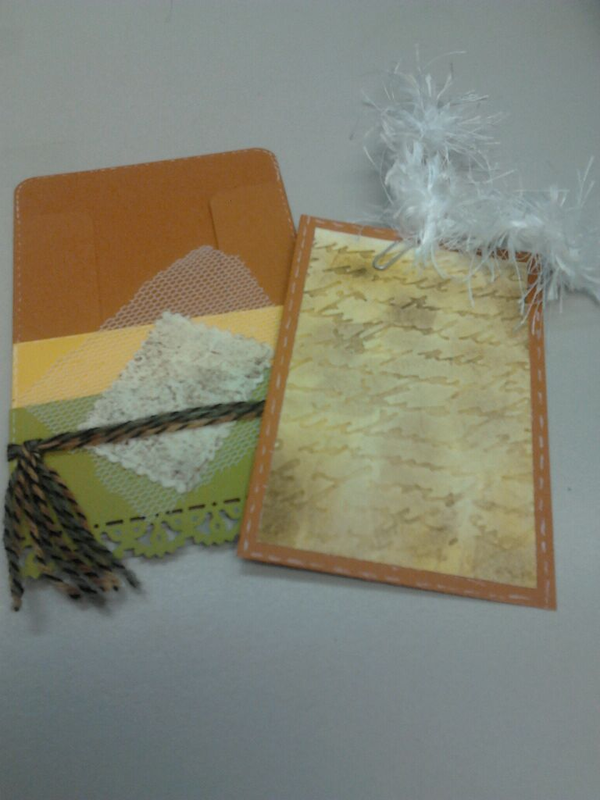 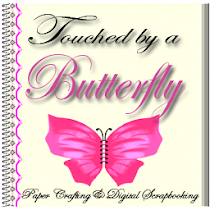 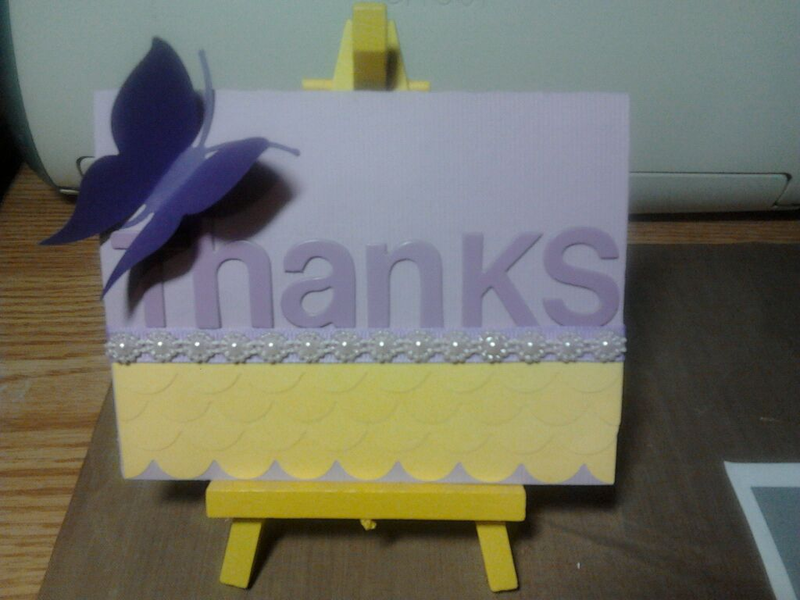 I used my cuttle bug embossing folder to emboss the card and my Martha Stewart punch on the bottom of the card.